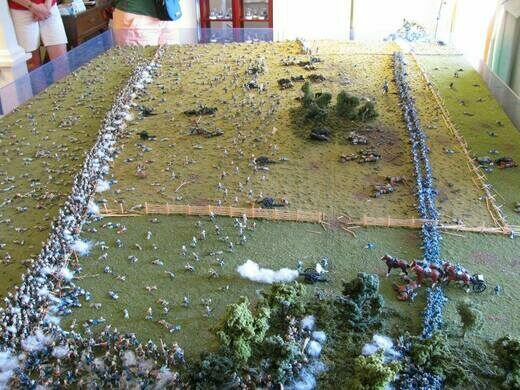 A diorama of the Civil War, fought by cats. Ever wonder what the Civil War would look like if it had been fought by cats? 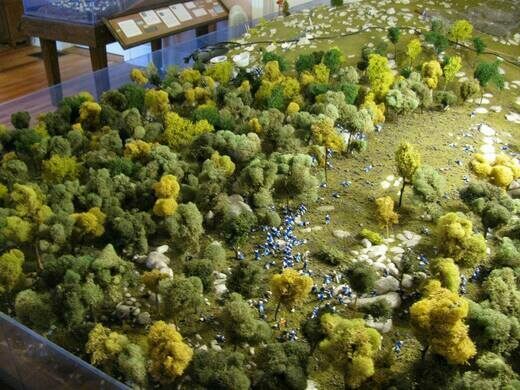 The Civil War Tails at the Homestead Diorama Museum in Gettysburg seeks to answer that question. This recreation of a 19th century dime museum is full of oddities. 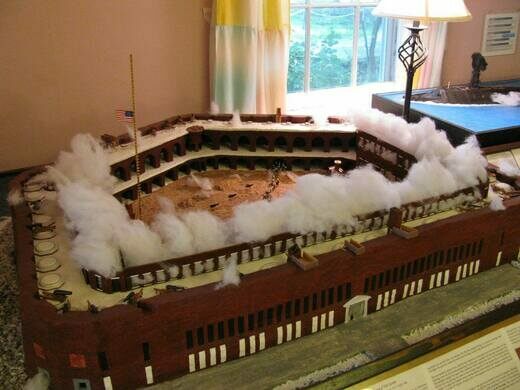 Twin sisters, Ruth and Rebecca Brown, have taken their passion for Civil War history, dioramas, and cats to create these unique and intricate displays. 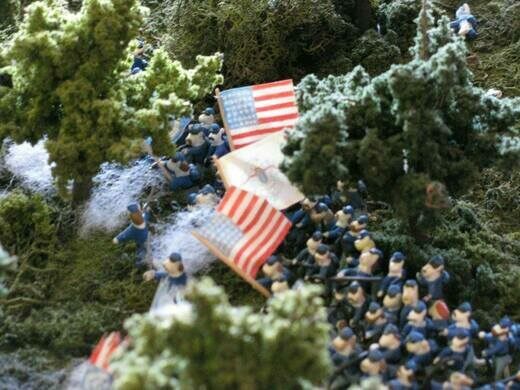 They began their interest in Civil War history at the same time they began making and clay figures as kids. In 2013, Rebecca was able achieve her dream of living in Gettysburg and purchased The Homestead, itself a historic building that was once the National Soldiers Orphans Homestead. 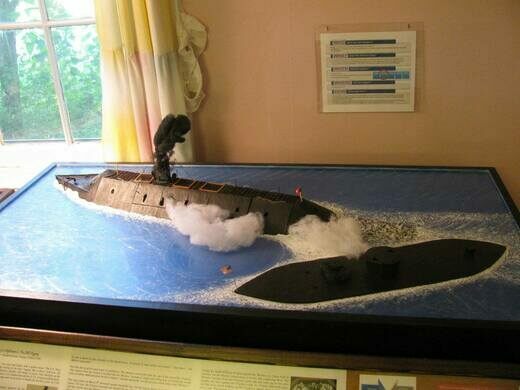 Their collection of dioramas includes the Battle Fort Sumter, the Battle of the Ironclads (including a view from under the water and inside each ship with cat sailors), and The Angle/Pickett’s Charge with over 1,900 cat soldiers and measuring 5.5 ft x 7.5 ft. Along with the cats, all of the artillery, horses, and stone walls are handmade (the stones being little balls of clay). The sisters began this piece in 2000 and finished in 2013 when the museum opened. The next big project is Little Round Top, which is being extensively researched for both the positions of soldiers, but also for topology. When finished, it will be 11 ft long and contain over 5000 cats. 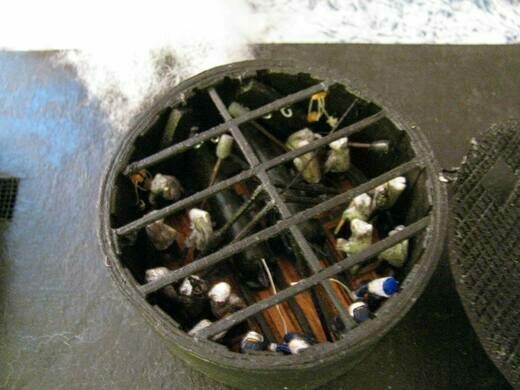 Each figurine, about once inch or smaller, is baked in a 225 degree oven and then hand painted in appropriate colors. 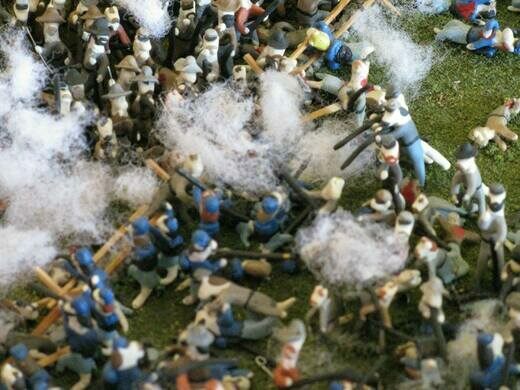 Rebecca makes Confederate soldiers, while Ruth makes the Union forces. There is a large parking lot across the street that is free. Metered street parking is available. Be careful crossing the streets as there are no crosswalks. It is well worth the $6.50 ticket price. 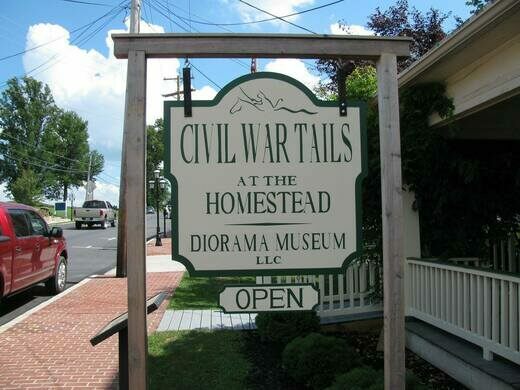 It is also near the Hall of Presidents and First Ladies, another little gem in the town of Gettysburg. One of the oldest Catholic churches in the U.S., situated just east of Gettysburg. The Cold War-era "underground Pentagon" is a sprawling subterranean hideaway for the Defense Department. An innovative attempt to break a siege in the American Civil War still scars the earth today. Near the ruins of a Civil War coastal fortress lies the only known African refugee cemetery in the U.S. The airport was once a Civil War battleground, and the earthwork defenses can still be seen today. This taxidermy horse was a Civil War hero.